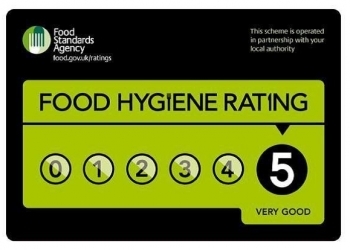 Environmental Health praises five star food hygiene standards in Bellavista Nursing Home Cardiff. Bellavista Nursing Home Cardiff has been awarded a five-star rating by Environmental Health after a rigorous inspection found excellent food hygiene thought the home. Following an inspection, the officer then scores the premises for a range of factors such as food hygiene, structural standards including cleanliness, and confidence in management. All the members of staff at Bellavista work very hard and are dedicated to maintaining our excellent rating of 5, the highest score possible.